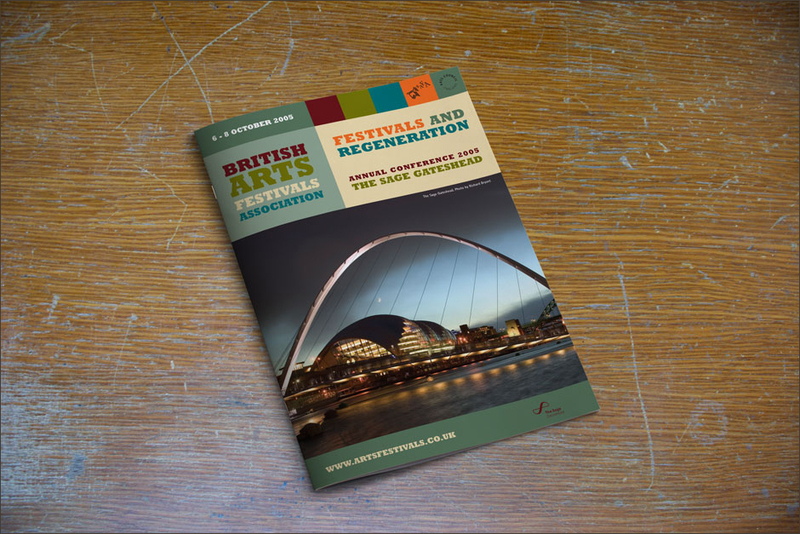 Mono Industries was asked to design a marketing brochure for the British Arts Festivals Association. 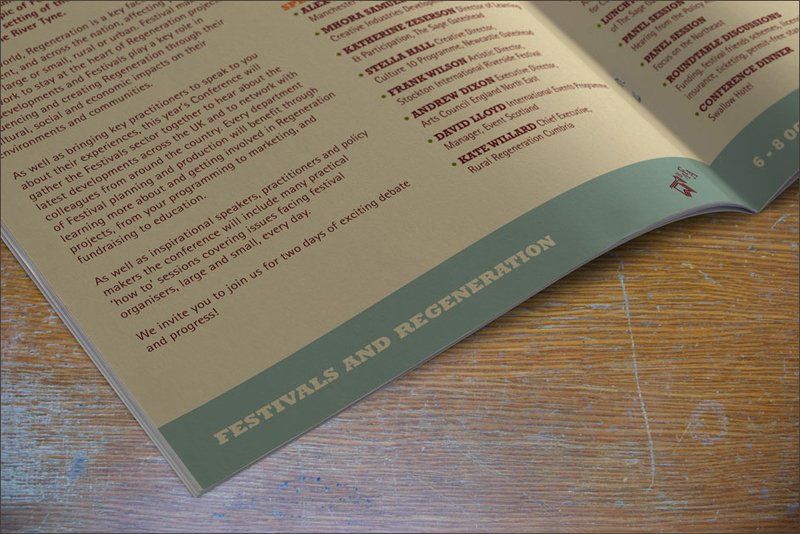 The brochure was produced to advertise the association's 2005 annual conference entitled 'Festivals & Regeneration'. Mono Industries was asked to design a marketing brochure for the British Arts Festivals Association. 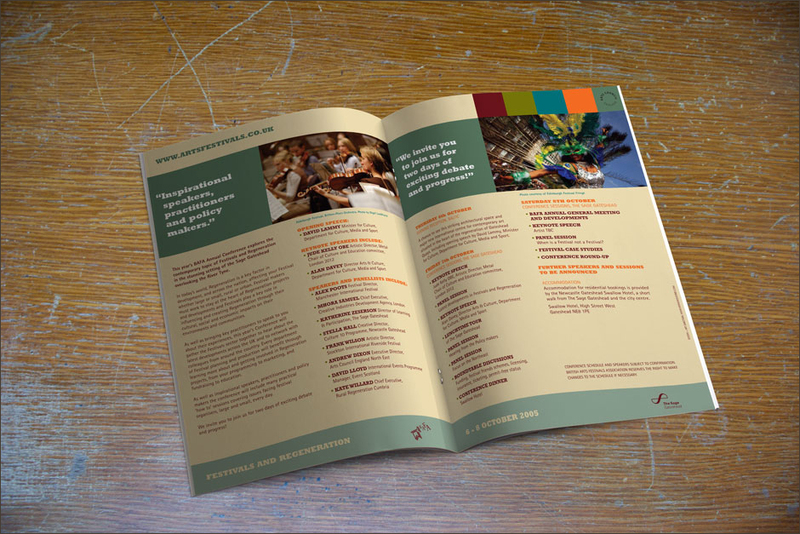 The brochure was produced to advertise the association’s 2005 annual conference entitled ‘Festivals & Regeneration’. A great image of the conference venue, The Sage in Gateshead, was used on the front of the brochure. In 2005, BAFA relaunched its annual conference to be held that year at the Sage in Gateshead. Mono Industries were asked to design the conference brochure as part of the relaunch and came up with a fresh and engaging design. It was a pleasure to work with Nick who was flexible, helpful and creative and delivered a brochure that matched our aspirations for the conference.